Health & Leisure businesses, such as Spas and Beauty Salons mean a few hours of pure relaxation and comfort for your customers. It’s a time to lay back and get pampered from head to toe, and Miele supports this experience by delivering the softest and cleanest towels and robes your customer could hope for. 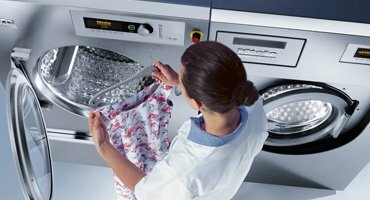 To help you deliver an exceptional service to your customers, Miele offer a number of unique solutions for a variety of industry sectors, such as Spas & Beauty Salons. 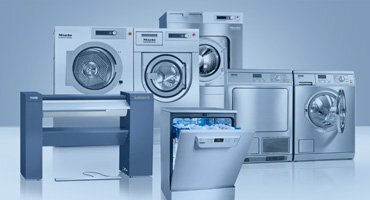 Our range of industrial and commercial scale appliances suit all sizes of businesses, whether small beauty salon laundry services where space is a premium, or large onsite health club launderettes. For instance our Little Giant washing machine and tumble dryers can deliver quick and exceptional results quickly, and what’s more, they can be double stacked to not only deliver an extremely efficient performance, but a small physical footprint to help you save space. For large spas and health clubs, our industrial sized washing machines and tumble dryers integrate drums that range in size from 55 to 320 litres. For those health clubs with on-site restaurants, Miele Professional’s range of dishwashers are perfect. 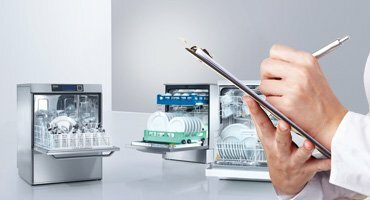 Thanks to a range of easy to use programs and innovative interior design, our commercial dishwashers can handle even large amounts of dishware, cutlery, and glassware. 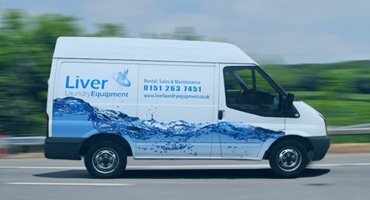 For businesses with a high footfall, a number of our models can complete a full load in just 5 minutes.